Peristeria (unidentified) species flowering in the Fuqua Orchid Center. 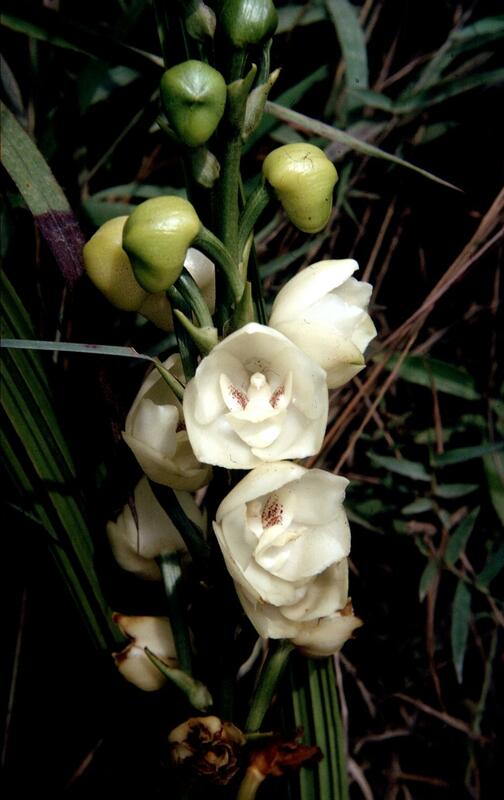 Visible inside the flower are the broad yellow lip and the tip of the column. 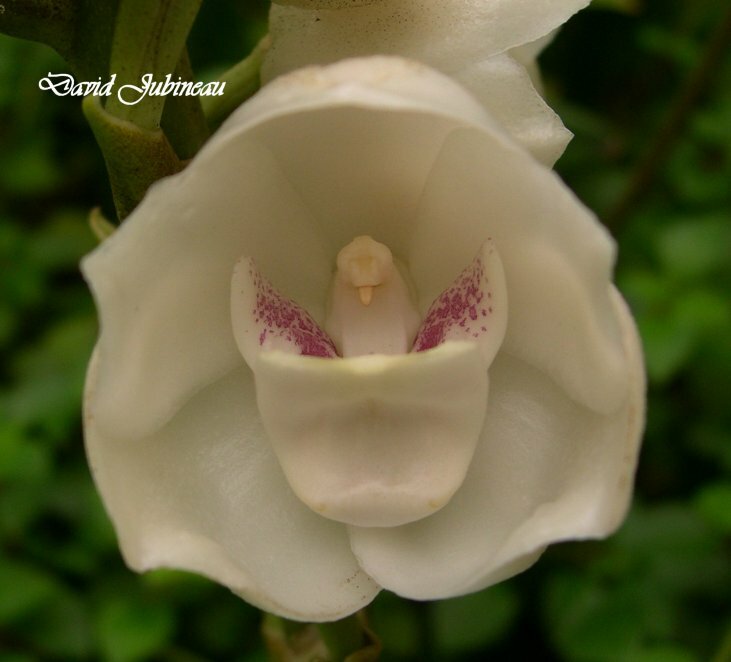 If this orchid looks a bit familiar perhaps it reminds you of the Dove Orchid, Peristeria elata. The generic name, Peristeria, is derived from the Greek word 'peristerion' (dove) and refers to the dove shape that is formed by the fusion of the lip and the column. The yellow almost-dove inside our Peristeria appears to be wingless because the lip lacks two large side lobes. In both species the lip is hinged and the weight of the pollinator (a Euglossine bee) landing on the lip causes the lip to rock. The bee is thrown against the end of the column--the dove's head--and in contact with the pollen masses. 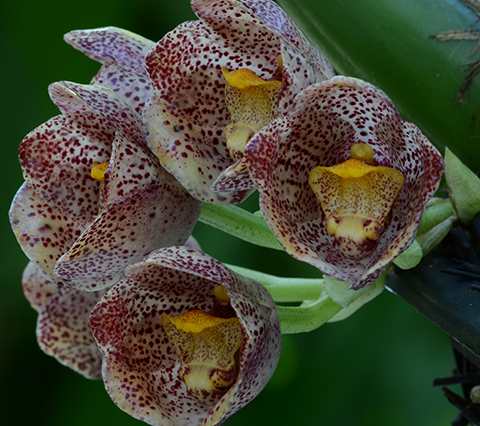 What a terrific fragrance this orchid has! This Peristeria species smells like eucalyptus, but with a sweet floral aspect. The dominant chemical compound is eucalyptol (1, 8-cineole), a fragrance component of many Euglossine bee pollinated plants.